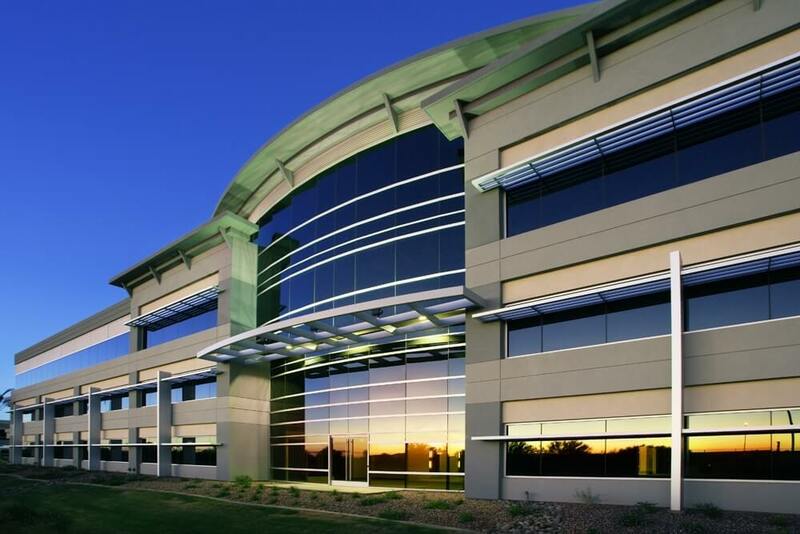 Phoenix, Ariz. – Ryan Spiekerman and Adam Feldman of Helix Properties LLC, on behalf of Next Gen 101 LLC, a single-entity controlled by Helix, has completed the acquisition of West 101 Corporate Center for a total purchase price of $8.5 million. Chris Toci and Chad Littell of Cushman & Wakefield’s Phoenix office represented Regent Properties in the sale of the 81,922-square-foot (sf), Class A office building located at 1860 N. 95th Lane in Phoenix. Situated on a lot consisting of 230,432 sf, the building is located in the West Valley at the northeast corner of Loop 101 and McDowell Rd. The property was designed by DFD Architects and showcases stunning architectural detail made visible by 452 linear-feet of Loop 101 freeway frontage. “After having originally purchased West 101 Corporate Center in the depths of the Great Recession, Regent Properties brought the asset to market near stabilization and did an excellent job repositioning it from 19.9 percent in mid-2010. Helix will benefit as leasing activity in the western reaches of Metropolitan Phoenix continues to accelerate,” said Chris Toci, Executive Managing Director of Cushman & Wakefield. The three-story office building was 53.02 percent occupied at the time of acquisition. Helix’s intention is to lease up the remaining square footage and hold the investment for a period of time. West 101 Corporate Center offers large contiguous space required by AAA tenants which is hard to come by. Ryan Spiekerman was instrumental in bringing this deal to a close with a vision to provide ample opportunity for Class A corporate tenants to gain access to an underserved West Valley market. The asset is not just office space, but a cutting-edge office facility with pylon freeway signage and easy access to the 101 and I-10. Cushman & Wakefield (NYSE: CWK) is a leading global real estate servicesfirm that delivers exceptional value for real estate occupiers and owners. Cushman & Wakefield is among the largest real estate services firms with 48,000 employees in approximately 400 offices and 70 countries. In 2017, the firm had revenue of $6.9 billion across core services of property, facilities and project management, leasing, capital markets, valuation and other services.